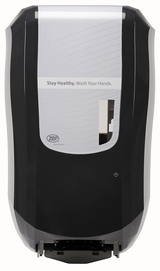 This unit is designed for environments with hand care protocols requiring touch-free dispensing. The fuzion has an elegant look that can be used anywhere and mounted to any type surface. Elegantly styled dispenser offers the flexibility to use in a multitude of applications. 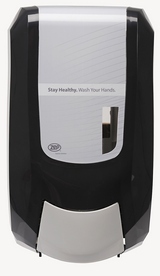 The Fuzion offers the latest in hand hygiene pump technology to dispense your unique soap and sanitizer formulation. Mounts on counter or sink. No wall or mirror space needed. 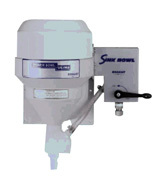 Water powered, manually operated two valve proportioner for dispensing detergent and sanitizer in three compartment sinks. For use with the ProSimplicity warewash control system (N06801), Titan 2 product solid detergent system (N67001) and Titan 2 product solid detergent system with magntic field sensor (N67201). 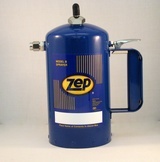 Part of Zep Dilution Solutions (ZDS), unique chemical mixing systems that provide simplicity, safety and one-handed convenience. 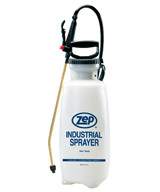 Designed for use in any institutional or industrial application where safe and accurate chemical dispensing is necessary. 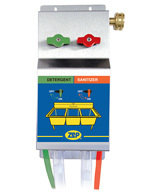 Simple yet robust dispensing system that erodes containerized solid or detergents for filling sinks, bus pans or other receptacles. Chemical concentration controlled by adjusting control valve that supplies pressurized water flow to bowl spray jet. Water not used for dissolving chemical is diverted and mixed with the chemical output via a durable “Y” connector mounted on the bowl discharge. 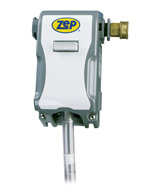 Dual-action pump technology that increases efficiency up to 60% compared to traditional pumps. Set to deliver the optimal amount of foam per stroke without external adjustments. 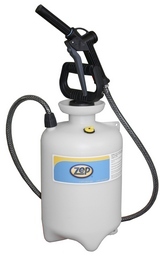 Self-contained extractor that deep cleans to remove stubborn soil and ground-in dirt. 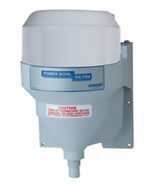 Features quick-drain system, floating brushes, multi-state vac motor and chemical-resistant Viton seals. You like the economy of cleaning concentrates, but you know that sooner or later, an open container is going to tip over and spill on work areas, floors and even the people using them. It happens, in fact, the EPA reports that US institutions spend more than $75 million a year on medical expenses and lost time wages for janitors because of chemical related injuries. 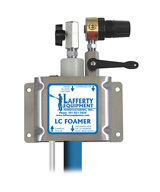 Provides medium volume output for all foaming applications. Lightweight, heavy-duty wheeled cold water unit made for portability. 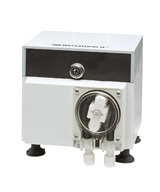 The Mini fogger is a portable system for fogging small to medium areas. 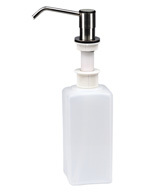 The 2-1/2 gallon container features a fogging nozzle attached to the spout for convenient , portable operation. An optional one shot timer is available for automatic operation. 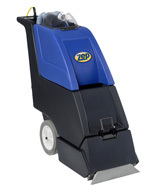 Lets you quickly clean large areas as well as tight spaces with one machine. 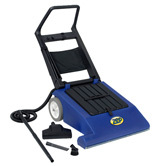 Features retractable 20-ft. aisle hose with turbo floor tool. Easy bag change with lift-out hopper that holds up to one bushel of dust and soil. Offset squeegee capability makes it easy to clean under toe kicks. 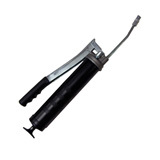 Heavy duty manually operated grease gun. Includes rigid extention, hydraulic coupler and air bleeder.